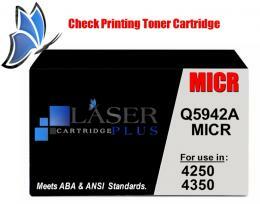 Laserjet 4250 MICR - HP 4250 MICR - Q5942A MICR Toner. Print your own checks with new modified HP Laserjet 4250 MICR Toner. This premium modified HP 4250 MICR Toner delivers excellent print value. 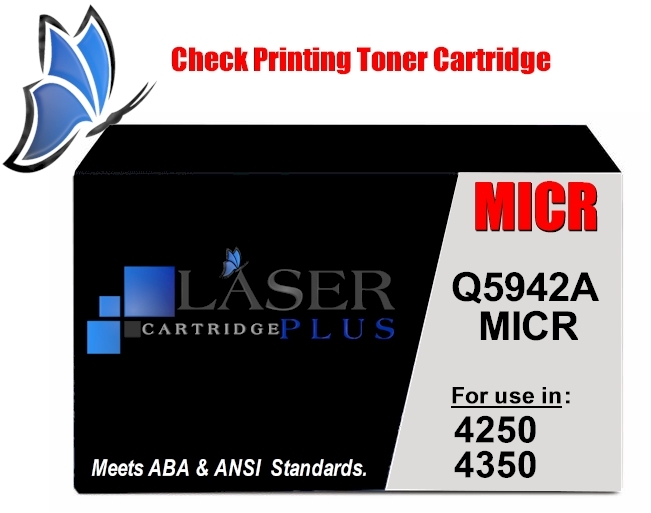 Q5942A MICR Toner (HP 42A MICR Toner) is a modified HP black toner used in MICR check printing. For use in: HP LaserJet 4240, 4250, 4250dtn, 4250dtns, 4250n, 4250tn, 4350dtn, 4350dtnsl, 4350, 4350n, 4350tn printers. 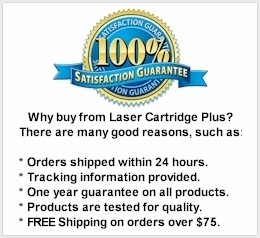 Compatible with MICR Cartridges: Q5942A, Q5942X, THN-42A, THN-42X.